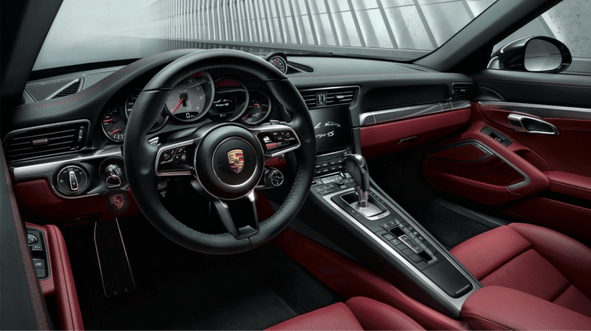 When I first spoke to Lara Faddoul, the marketing manager at Porsche Lebanon, we agreed that I would test drive the Carrera 4S. Then, to my surprise, she called me a few hours before the scheduled drive to inform me that the Porsche 911 Targa 4S had just landed on Lebanese soil: not a soul in Lebanon had driven it yet and Executive and I would be the first. I knew I was in for a treat. To begin with, there is the sheer beauty of the car. It’s so beautiful and timelessly elegant, with a tamed masculinity that shines through. This is especially true for the color of the car I was driving: a sleek metallic night blue perfectly offset with the bright off-white leather interior. Its appearance inspires you to drive it elegantly, there is simply no other way. The soft purr of the engine and the way it handles truly differentiates it from any other car. Little do passersby and observers know that behind all this elegance, seriousness and pedigree of the 911, it is really just a marvelous toy. It’s agile, fun and safe. It can go from 0 to 100 in 4.2 seconds, and you can switch modes of driving from Sport to Super Sport and listen to the noise of the engine change into a throaty hum with a simple move. It has little gadgets and cool accessories that only the driver can appreciate, making them your little secrets. Just keep a smirk on your face and enjoy the ride. The most beautiful part of the drive comes when you let the roof down. This is by itself something to admire: the roof smoothly and elegantly uncovers in a clockwork-like mechanism that the best Swiss watchmakers would envy. Once the roof is down, the fun starts. 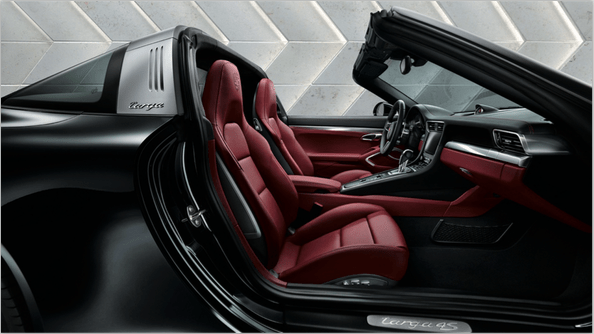 The new design brings back the identity and authenticity of the original Targa through the separation bar at the rear windshield, which is kept intact when the roof is down. Driving back from Byblos with the wind blowing through Charlize’s dazzling long hair and the clear and beautiful sound from the blaring sound system inspiring her to sing her heart out, you can’t help but push the pedal to the metal. This is when you realize that, despite your excitement, you have to be careful because you don’t want Assaad Raphael (owner of Porsche Center Lebanon) to have to pay your speeding fines; with the tiniest of taps on the gas pedal, you can go from 80 to 150 in a few seconds without even feeling it. The car is sturdy and steady enough that you feel safe speeding or taking the sharpest corners, knowing that it will always respond to your precise maneuvers and maintain its balance. The one thing that would have made the experience more thrilling would have been to let Charlize drive and sing while I enjoyed the view. You can contact Assaad or Lara to share my excitement, but as for Charlize, don’t even dare!